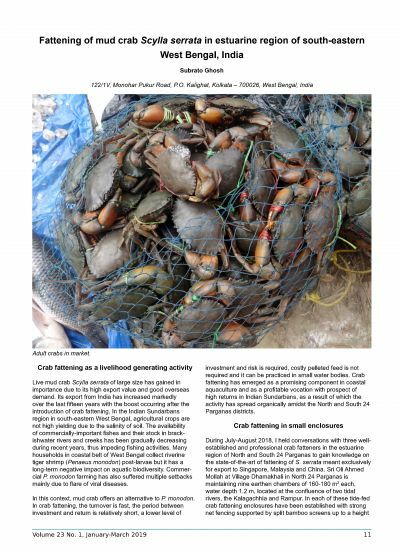 Live mud crab has a high export value and good overseas demand. 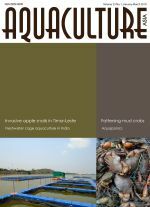 Over the past fifteen years exports from India have increased, with the introduction of crab fattening practices. Wild-caught seed are held in pens constructed of bamboo screens for several weeks and fed to increase their body weight and hence value. Fattened crabs are onsold to traders exporters, who may air lift them to Singapore and other regional markets for the live restaurant trade.